Its more than 5 years since a freehold project was launched in Bartley. 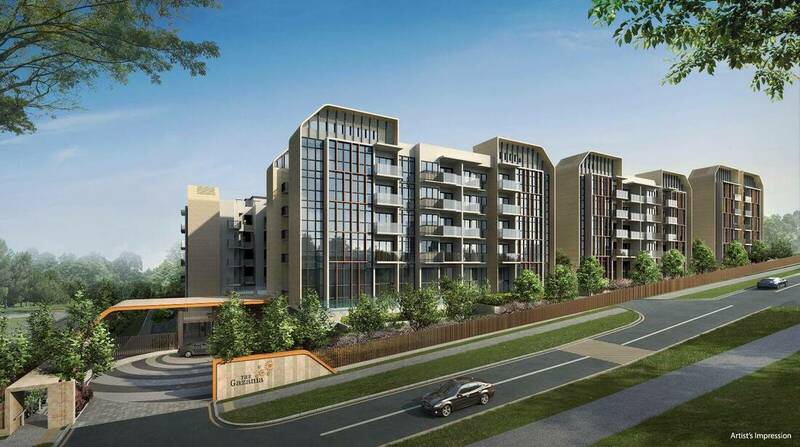 The show-flats of two condominium projects in Bartley by SingHaiyi Group will open for viewing. The property developer announced this at a media preview at 16 Tai Seng Street, where potential buyers can view the show-flats. The Gazania in How Sun Drive will have 250 units across seven five-storey blocks, while The Lilium in How Sun Road will have 80 units in two five-storey blocks. The two developments will be launched together in about two weeks and are due to be completed in the second half of 2022. Units at The Gazania are likely to be priced from about $1 million for a one-bedroom unit of about 440 sq ft, and from about $3.3 million for a 1,800 sq ft four-bedroom penthouse. 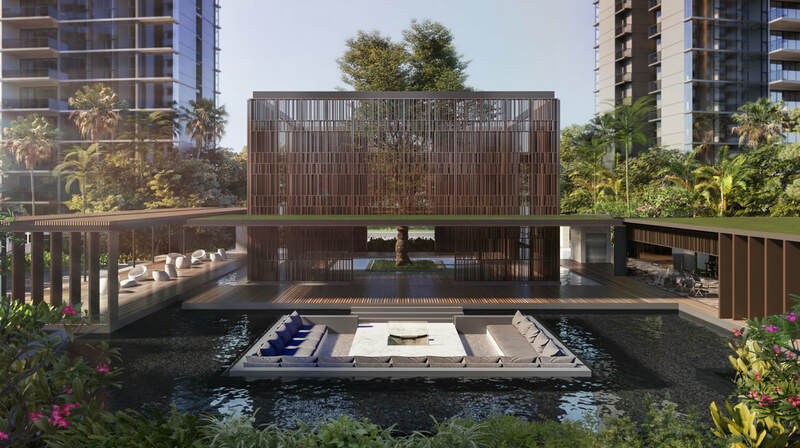 The Lilium will have two-to four-bedroom units that are expected to cost about 5 per cent to 10 per cent less per sq ft. 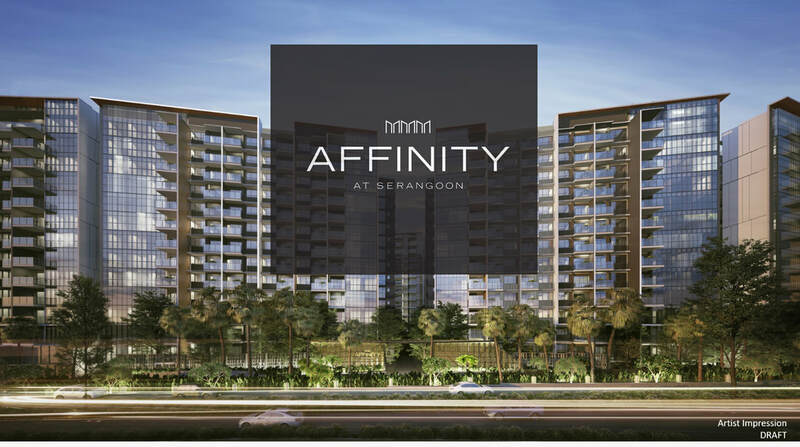 Developer appointed marketing agency - Huttons Asia's real estate professional Kiwi Lim estimate that half of the units will be launched first. Private home sales are on the rebound after the festive lull, as developers in Singapore sold 1,054 units last month, up from the 455 units they moved in February. The latest number is also 47 per cent higher than the 716 units sold in March last year. The figures - which exclude executive condominium (EC) units - were released by the Urban Redevelopment Authority based on its survey of licensed housing developers. Market observers point to a supply-led increase, noting the slew of recent launches. Most believe that demand will remain healthy in the coming months as more projects are rolled out, giving buyers more options. Ten developments were launched last month, including two mega projects, Treasure at Tampines and The Florence Residences, which accounted for more than a third of the total new private home sales last month. Huttons Asia real estate professional Kiwi Lim believe that this is due to the resilience of the real estate market in Singapore. 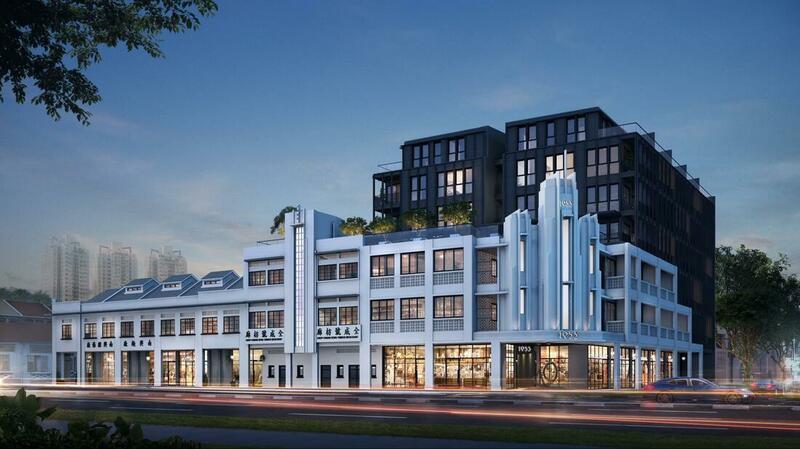 Kingsford Huray Development has been hit with a no-sale licence for its project at the former Normanton Park site, prohibiting it from selling units before the Temporary Occupation Permit (TOP) is obtained. In June, Kingsford Huray was granted approval for a 1,882-unit project on the site, comprising 1,863 apartments and 19 strata terrace houses. But the Controller of Housing (COH) issued a no-sale licence for the project on Jan 15, "as the company had failed to meet the requirements for a sale licence", said a Urban Redevelopment Authority (URA) spokesman in response to queries. Under the Normanton Park project's no-sale licence, the COH must also be informed within 14 days of any changes to persons holding responsible positions in Kingsford Huray, and any changes to the particulars of the developer and/or the project, as set out in the licence. ​Real estate investment sales in Singapore fell 52 per cent year on year to S$5.3 billion in the first quarter of 2019, on cooling in the latest bout of en-bloc fever and from residential property curbs. The corresponding period in 2018 had seen a record level of residential collective sales. The overall slump was despite strong growth in investment sales in the hospitality, commercial, industrial and mixed-use sectors. Investment sales refer to all private property sales at transacted prices of S$5 million and above, including successfully awarded state land tenders In the residential sector, the July 2018 cooling measures continued to depress sales. Investment sales plunged by 82 per cent from a year ago to S$1.7 billion amid declines in all sub-segments, including collective sales and Good Class Bungalows. This sector accounted for 32 per cent of the total investment sales in the quarter. On the other hand, public land sales booked a bumper quarter, recording 32 per cent growth year on year to S$2.1 billion. They accounted for 40 per cent of total investment sales, and four of the top five largest transactions during the quarter were Government Land Sales (GLS). Commercial investment sales quadrupled on a year-on-year basis to S$1.1 billion in the first quarter on a low base. Developer SingHaiyi Group and its joint venture (JV) partners, Suntec Reit and Haiyi Holdings, announced that UBS Singapore has signed on to take up all the office space at the redeveloped Park Mall building, confirming a Business Times report on April 1 that UBS was mulling over a consolidation of its Singapore office footprint. 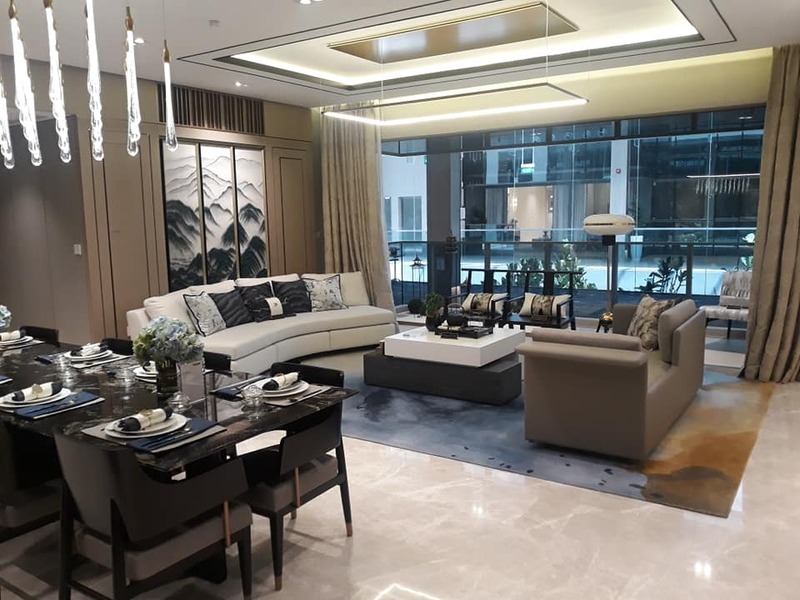 Located at 9 Penang Road, the property is now undergoing redevelopment, which is on track to be completed in the fourth quarter of this year, SingHaiyi said. UBS Singapore will take up 381,000 sq ft of net lettable area, spanning eight levels across two towers. It plans to move into the 10-storey Grade A office building in the second half of next year. Besides UBS Singapore, the redeveloped building has drawn strong interest from potential retail tenants, including food and beverage outlets as well as ancillary services, SingHaiyi added. The redeveloped building is located near Singapore's prime shopping belt Orchard Road and Dhoby Ghaut MRT station. It also has 15,000 sq ft of retail space and an extended 99-year lease which will expire on Dec 7, 2115. 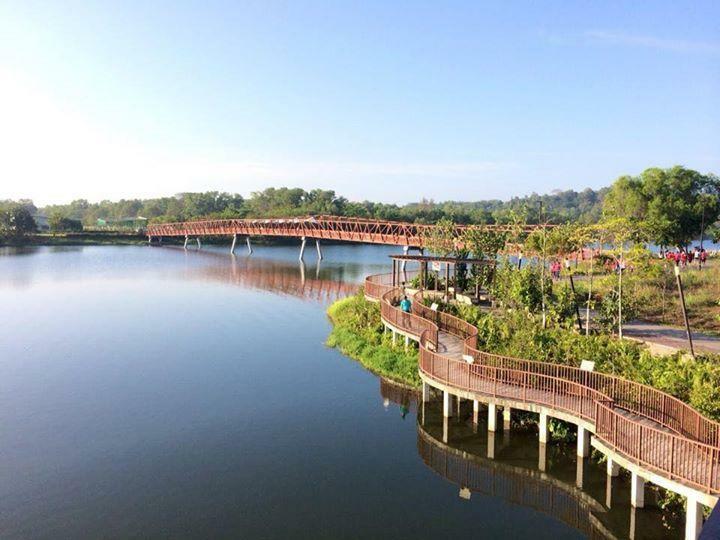 Thinking out of the box will be imperative for developers eyeing the new Jurong Lake District (JLD) tourism development project. The site will have to stand out from among the S$9 billion expansion to be made to the integrated resorts (IRs) and the growing number of theme parks in the region, industry watchers said. The government announced that the now-vacant seven-hectare site next to Chinese Gardens will be the location for a hotel, attractions, eateries and shops by 2026. The need for novel development ideas is clear when one compares the seven-ha size to that of Marina Bay Sands and Resorts World Sentosa, which take up 15.5 ha and 49 ha - two and seven times bigger respectively. An expression of interest (EOI) exercise by the Singapore Tourism Board (STB) will close in November. Multi-award-winning architect Moshe Safdie says he expects Jewel Changi Airport to become a powerful icon for Singapore. Mr Safdie, 80, who also designed Marina Bay Sands, said he did not expect MBS to become a landmark symbol of Singapore, possibly exceeding the status of the Sydney Opera House. "I do predict now, though, that Jewel will become an icon for Singapore no less than MBS," he told reporters on Friday, ahead of Jewel Changi Airport's official opening. At 90,000 sq m, Jewel's retail size is comparable to CapitaLand's ION Orchard, which has a retail footprint of about 88,000 sq m. Raffles City remains CapitaLand's largest mixed-use development in Singapore at 320,490 sq m GFA. Jewel's total GFA spans 135,700 sq m, comprising 90,000 sq m of retail; 21,100 sq m of indoor gardens and attractions; 19,400 sq m of facilities for airport operations; while 5,200 sq m has been set aside for hotel space. About 25 per cent of Jewel's over 280 stores comprise new-to-market brands, new concepts or flagship stores. Nearly 50 per cent of the brands in Jewel are home-grown Singapore ones, with stores such as the Rich & Good Cake Shop, Birds of Paradise gelato store and Tiger Beer's new concept, Tiger Street Lab, attracting long queues during the Jewel's preview. ​Huttons Asia real estate professional Kiwi Lim believe that in addition to the awesome beauty and entertainment at Jewel Changi Airport, the huge array of amenities and food offered by the cinema and 280 shops and retail outlets at Jewel Changi Airport will make living in the east a very attractive option. 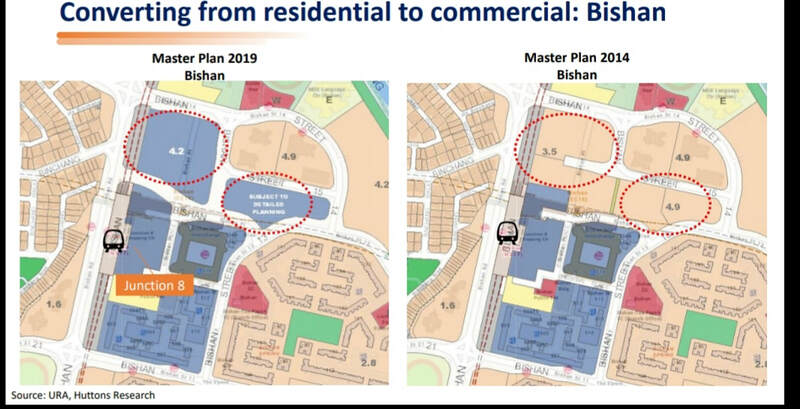 The Urban Redevelopment Authority (URA) has launched the tender of a site on Tan Quee Lan Street under the Confirmed List of the first half 2019 Government Land Sales (GLS) programme. The 99-year leasehold site sits on a site area of 11,530.9 sq m and has a maximum gross floor area of 48,430 sq m. It can potentially yield up to 580 residential units. The site has a maximum building height of 30 storeys for a high rise zone and six storeys for a low rise zone. Meanwhile, the tender for a residential site at one-north Gateway under the Confirmed List, which was originally scheduled for this month, will be postponed to June "to facilitate a review of planning parameters and tender conditions for the site," URA said The tender for the Tan Quee Lan Street site will close at 12 noon on Sept 5. 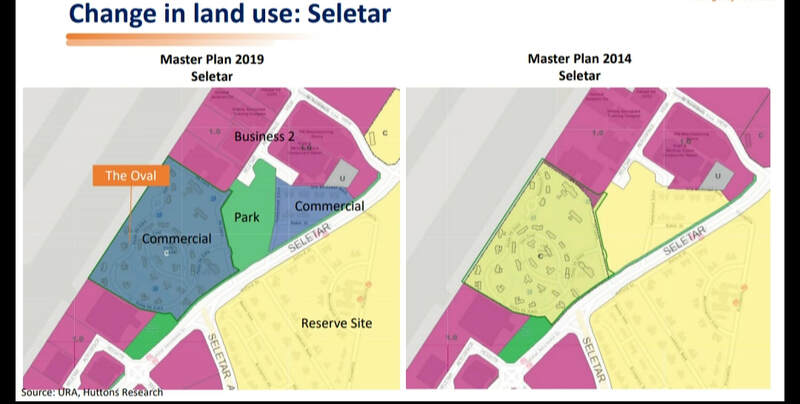 Its closing will be batched with another site at Bernam Street which is scheduled for sale in May under the first half 2019 GLS programme, said URA. Oversea-Chinese Banking Corporation (OCBC) is looking to sell a 22-storey freehold servicedresidence development at 2, Mount Elizabeth Link, sources told The Business Times. The district 9 property housing 72 serviced apartments is leased to Frasers Hospitality, which operates it as Fraser Residence Singapore. The property's existing gross floor area of about 104,400 sq ft (subject to a final survey) is around 2.95 times the site's land area of 35,385 sq ft. This is higher than the 2.8 plot ratio indicated for the residential-zoned site in Master Plan 2014 and Draft Master Plan 2019. Housing loans in Singapore hit another low in February, with mortgages contracting over the month for the first time since April 2006, preliminary data from the Monetary Authority of SIngapore showed. Mortgages booked in February on a net basis came in at S$203.8 billion, falling from S$204.3 billion in January. From a year ago, housing loans in February continued to grow, but at its slowest yet of 1.2 per cent since BT began compiling bank lending data from 1991. With housing loans making up three quarters of consumer lending, overall consumer loans from a year ago grew at its weakest on BT's record. Consumer loans grew just 0.5 per cent in February from a year ago, to S$264.96 billion, decelerating from 0.8 per cent year-on-year growth in January. Apartments and condos in the prime areas or Core Central Region (CCR) led declines in private home prices in the first quarter of this year. Compared with the other submarkets, CCR has been the hardest hit by last July's hike in additional buyer's stamp duty (ABSD) rates, which impacts investors and foreigners more severely. Based on the Urban Redevelopment Authority's flash estimate data for the first quarter of 2019, the price index for non-landed homes in the CCR fell 2.9 per cent quarter-on- quarter - the sharpest quarterly drop since the 5.2 per cent slide in Q2 2009 in the aftermath of the global financial crisis. The latest decline in the index, combined with the 1 per cent fall in the preceding quarter, takes the total decline to 3.9 per cent from the recent peak in Q3 2018. URA's overall private home price index too contracted for the second consecutive quarter. The 0.6 per cent (flash estimate) decline in Q1 2019 was a bigger drop than the 0.1 per cent q-o-q dip in the preceding quarter. Weaker sentiment in the residential market is likely to persist in the near-term and may discourage buyers from committing early for fear that prices could erode further in the coming quarters. It also does not help when there is a steady stream of new launches in the pipeline due to the fiveyear (sales) deadline for developers - which means buyers are also spoilt for choice. Moving forward, the less-than-ideal take-up rates at some recent launches are likely to nudge developers to price projects more sensitively in the coming months if they want to move units and better manage sales inventory. Housing and Development Board (HDB) resale flat prices dipped 0.3 per cent in the first quarter of 2019 compared with the quarter before, according to the latest flash estimates. The resale price index was 131, down from the 131.4 in the fourth quarter of 2018. The final figures, with more detailed public housing data, will be released on April 26. Although prices have continued to fall for a third consecutive quarter, the quarter-on-quarter change is still considered moderate and the decline is at a slower pace when compared to a year ago at 0.8 per cent. There may be more positive sentiment for the HDB resale market in the coming months, she added, as the government makes changes to the Central Provident Fund loan rules on the purchase of older flats. In May, HDB is also expected to offer about 3,400 Build-To-Order flats in Kallang/Whampoa, Tengah and Woodlands. There will also be a concurrent Sale of Balance Flats exercise. The volume of Housing and Development Board (HDB) resale flats grew by 26.1 per cent in March, marking the highest jump in eight months since August last year. There were 1,657 HDB resale transactions in March, up from the 1,314 units sold in the previous month, according to flash estimates from a real estate portal. However, resale volume in March was 12.7 per cent lower than the 1,897 units transacted in the same month last year. The data also showed that resale prices had inched up by 0.2 per cent in March, compared with February. But this was still a 1 per cent decline from last March, and down 13.7 per cent from its peak in April 2013. When property developer Ho Bee Land bought a commercial site at North Buona Vista Drive for S$410.99 million in 2010, observers said then that the resulting office product would be untested for the area. The project, sited outside the Central Business District (CBD) in a university and R&D enclave, was targeted at multinationals keen to set up headquarters near their research facilities. But as Ho Bee tells The Business Times, getting corporates to sign up "was not easy, as one-north is not known as an office location. We struggled initially." As the one-north MRT station and retail mall Star Vista were built up, Ho Bee's move paid off. Since completion in 2013, that building, The Metropolis, has contributed significantly to the company's annual bottom line, with rental income accounting for 42 per cent of its revenue in FY2018. Today, The Metropolis is fully occupied. ​The Metropolis is one of several "decentralised" office spaces in Singapore that have sprung up over the years, as the government continues its efforts to build employment areas outside the CBD - in line with a decades-long policy to put more jobs outside the city centre. Plans are already in the works for three major economic gateways in Singapore's east, west and north, including a second CBD in Jurong Lake District. Taking things a step further, the government just this week announced plans to encourage more non-office use into the CBD, which could change the make-up of the country's traditional business hub and lead more office tenants to move outwards. Offices outside the CBD see good take-up rates today, though industry players say a cocktail of considerations - ranging from cost to occupier profile - weigh on corporates' minds. ​More than 40km of cycling paths will be built in five towns over the next five years as part of efforts to expand the cycling infrastructure here, the Land Transport Authority (LTA) announced. Tenders to build the paths - to be located in Woodlands, Toa Payoh, Choa Chu Kang, Geylang and Queenstown - will be called later in the year, the authority added. 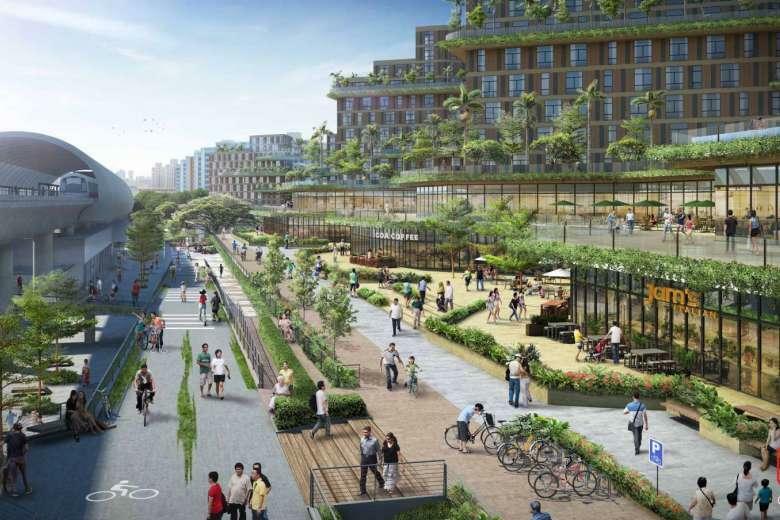 The 7km of cycling paths in Toa Payoh will be a first for the town, Singapore's second-oldest housing estate and the first built by HDB. Meanwhile, Woodlands will see 20km added to its current 4km of cycling paths and more than 8km of park connectors. This will make the cycling network for the northern town among the largest here. The new paths will also connect to key amenities as well as four MRT stations - Marsiling, Woodlands and Admiralty MRT stations on the North-South Line, and the Woodlands South station on the Thomson-East Coast Line which will open by the end of this year. An additional 12km of cycling paths will be a major boost to the existing half-kilometre stretch in Choa Chu Kang. District-level underground plans, released for the first time under the Urban Redevelopment Authority's (URA) Draft Master Plan, will help the nation build deeper and wider, freeing up more surface land for people-centric uses. Three-dimensional subterranean maps of Marina Bay, Jurong Innovation District and Punggol Digital District were rolled out at the launch of the Draft Master Plan at the URA Centre in Maxwell Road. The underground plans are part of a strategy to create spaces for the future as well as build capacity for growth. 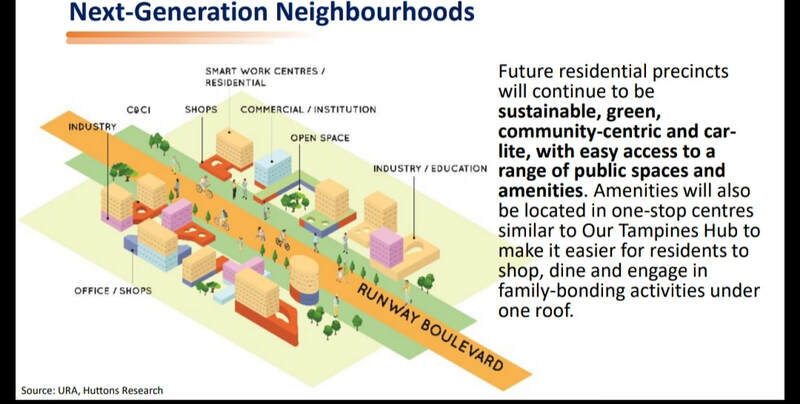 Some other highlights from the plan, which may be gazetted later this year: one-stop neighbourhood hubs, greater southern waterfront, transforming paya lebar air base. Development of the Greater Southern Waterfront will begin in five to ten years with certain precincts, kicking off with Pasir Panjang Power District and the site of the existing Keppel Club. Under the Draft Master Plan 2019, the Greater Southern Waterfront - which stretches across the southern coastline from Pasir Panjang to Marina East - will total 2,000 hectares (ha) and is envisaged to be a gateway for live, work and play. About 1,000 ha of land from the 2,000 ha site will be freed up for development after the City Terminals and Pasir Panjang Terminal are shifted to Tuas. Mount Faber has also been earmarked as one of the precincts that will be developed within the next five to ten years as part of the Greater Southern Waterfront. Pasir Panjang Power District will be "given a new lease of life as a lifestyle and heritage destination," said the Urban Redevelopment Authority (URA, adding that agencies are already looking at potential ways to reuse the former power station buildings and open up the grounds for public access. URA and the Singapore Land Authority will be initiating a competition next month to reach out to the public for potential ideas for the precinct. ​Meanwhile, the site that is occupied by the Keppel Club will be redeveloped into a new residential precinct by the waterfront when the current lease expires in 2021. The site is near both Telok Blangah and Labrador Park MRT stations. Transport connectivity for residents in the adjoining areas is expected to improve as they reduce travelling time by going through the future town instead of around it. 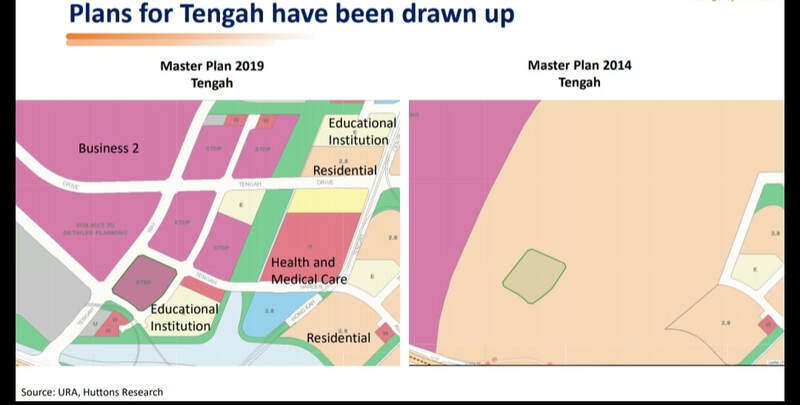 Meanwhile, Huttons Asia head of research, Lee Sze Teck, pointed out that the government is continuing to decentralise jobs from the central areas as it outlined more plans for Paya Lebar, Changi, Woodlands Regional Centre and Punggol Digital District under the Draft Master Plan 2019. In 15 years' time, nine in 10 Singaporeans will be just a 10-minute walk away from a park. This enhanced City in a Garden vision was unveiled in the Draft Master Plan, which shows 1,000ha more parks and park connectors across the island. The expansion is an almost 13 per cent increase over the existing 7,800ha. This is part of a "conscious and deliberate effort" to protect natural spaces and increase ecological resilience, said Minister for National Development Lawrence Wong at the launch of the Draft Master Plan. City Developments Limited (CDL) and Hong Leong Holdings are among the property players that could benefit from the government's push to inject greater vibrancy into the central business district (CBD). The CBD Incentive Scheme, which offers a higher gross plot ratio to pave the way for older CBD office buildings to be converted into hotels, homes or mixed-used projects, makes for greater flexibility in the medium to long term, but owners can choose not to redevelop their existing properties in the near term amid headwinds, analysts say. The scheme is targeted at office buildings in certain parts of the CBD - Anson, Cecil Street, Shenton Way, Robinson Road and Tanjong Pagar. Buildings under 20 years old or which have gone through significant asset enhancements from the last TOP date are excluded from the scheme. Site area is also a qualifying criterion. The allowable increase in plot ratios is capped at 25 per cent for most proposed land uses and at 30 per cent for residential with commercial use in the first storey in the Anson and Cecil Street areas. The Master Plan is a land use plan that guides Singapore’s development needs over the next 10 to 15 years. The Draft Master Plan 2019 focuses on planning for inclusive, sustainable, and green neighbourhoods with spaces for community and amenities for all to enjoy. The proposals also include rejuvenating our familiar places, and creating capacity for the future. URA hope the plan will help shape Singapore into a more inclusive, sustainable and resilient city that we will enjoy living in and build an endearing home for our families. • Areas of focus: Anson Road, Cecil Street, Shenton Way, Robinson Road and Tanjong Pagar areas. retained to celebrate the sporting heritage of the area. • New Bayshore precinct will have two MRT stations, Bayshore and Bedok South MRT stations. It will also be a car-lite precinct, prioritising walking and cycling with a public transit street lined with shops, food outlets and amenities. • Objective: make underground plans transparent to developers and building owners. • make better use of our land is to free up surface land for people-centric uses by relocating utilities, transport, storage and industrial facilities underground. Bringing jobs closer to homes with three "gateways"
• Three major economic gateways in the west (Jurong Lake District), north (Woodlands Industrial Centre) and east (Tampines Regional Centre) will serve as major employment hubs. • Development will take place in phases, starting with the former Pasir Panjang Power District, Keppel Club and Mount Faber in the next 5 to 10 years. • the new Pasir Panjang Linear Park will connect West Coast Park to Labrador Nature Reserve, and offer park users a glimpse of Pasir Panjang’s working container port and Power District up close. Future residential precincts will continue to be sustainable, green, community-centric and car-lite, with easy access to a range of public spaces and amenities. Amenities will also be located in one-stop centres similar to Our Tampines Hub to make it easier for residents to shop, dine and engage in family-bonding activities under one roof. Over the weekend, Oxley moved about a third of its residential and commercial units at 1953, a six-storey mixed development at the corner of Balestier and Tessensohn roads. Of the 58 residential units, Oxley sold 19 at an average price of S$1,875 psf, and of the 14 commercial units, it sold three at an average price of S$3,185 psf. Among the residential units, the most popular ones were the three-bedroom apartments and oneplus-study-room configurations. Over in the Meyer Road locale, on the former Albracca site, Sustained Land, which is leading a consortium to develop One Meyer, sold nine of 66 units over the weekend. Its sales were evenly split between the two-bedroom and three-bedroom apartments that comprise the project. 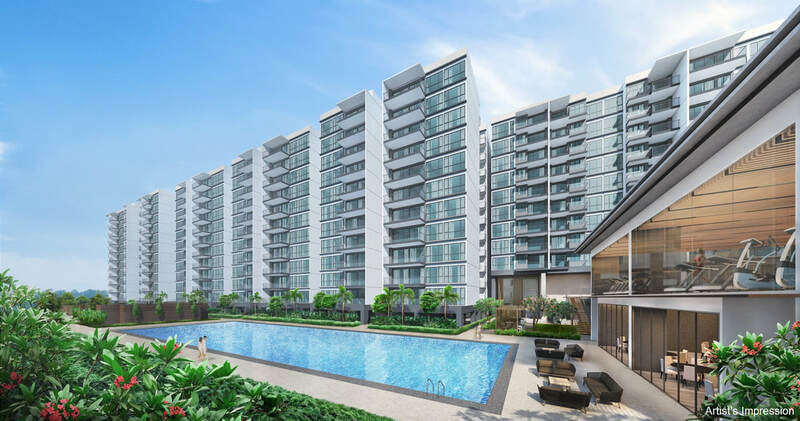 Treasure at Tampines, the 2,203-unit condominium coming up on the site of the former Tampines Court HUDC estate, is available for preview from March 15, with sales slated to start later this month at an average price of approximately S$1,280 per square foot (psf). 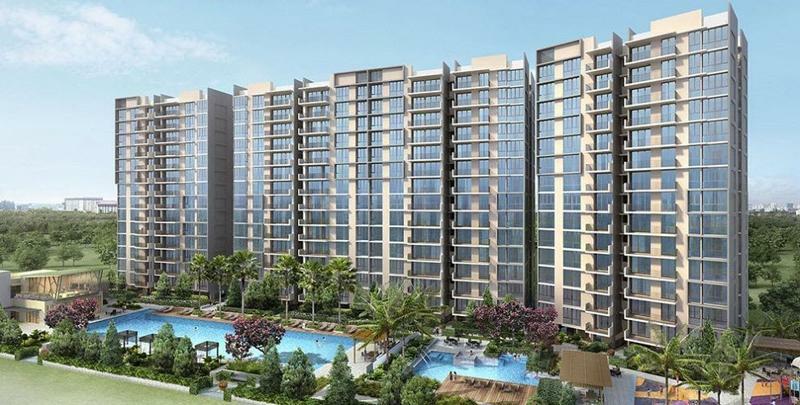 Developer Sim Lian Group, which acquired the collective sale site for S$970 million in 2017, said the condominium will be Singapore's largest in terms of number of units. The site spans close to 650,000 sq ft, with 40 per cent currently built up. 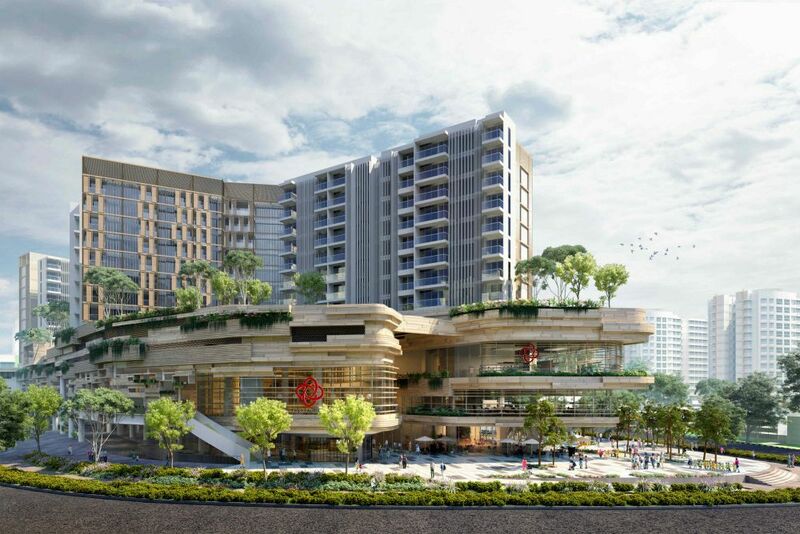 Treasure at Tampines is one of a few mega projects launching in 2019, and is expected to receive its temporary occupation permit by 2023. 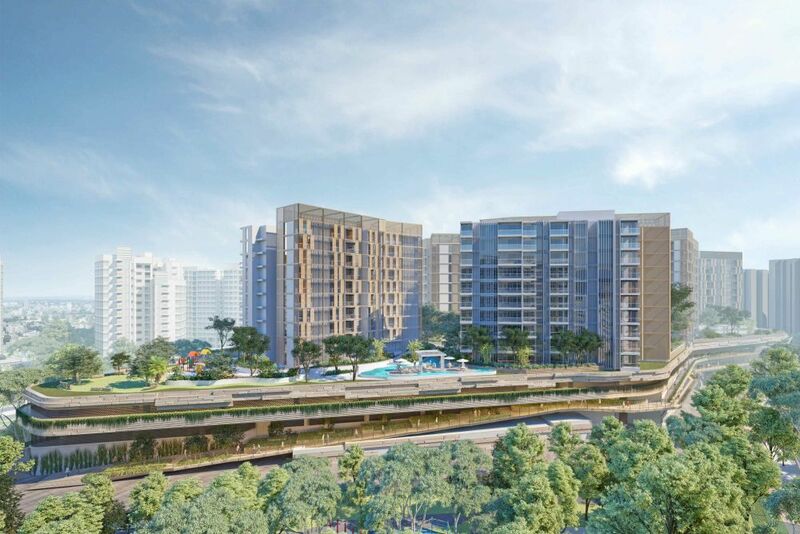 Located at Tampines Street 11, the 99-year leasehold development will offer one to five-bedroom units in sizes ranging from 463 sq ft to 1,722 sq ft. 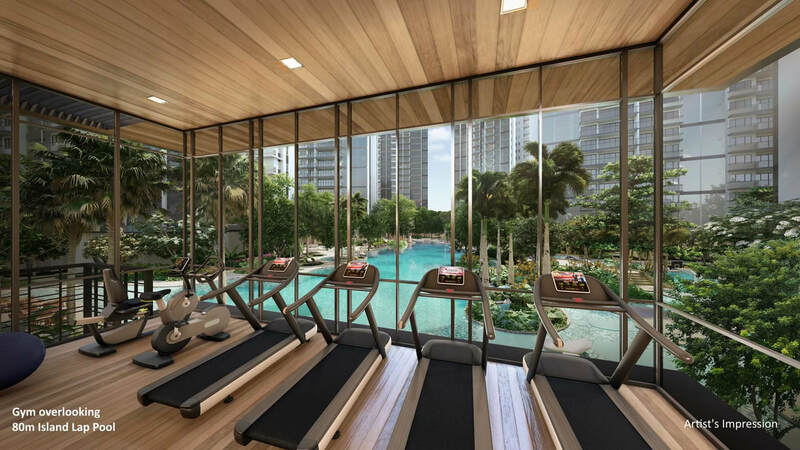 It will have 128 recreational and lifestyle amenities including 13 pools and a 24-hour indoor and outdoor gym facility, it added. Home buyers hoping for a reprieve in rising mortgage rates better not hold their breath as interest rates continue to rise and are now back at levels last seen 12 years ago. Following the latest round of hikes, the interest rate on mortgages is now some 50 per cent higher than a year ago as the mortgage benchmark, the 3-month Sibor or Singapore interbank offered rate, continues on its northwards trek. The 3-month Sibor is now at almost 2 per cent, up from 1.4 per cent 12 months ago. The last time the benchmark rate stood at 2 per cent was in the last quarter of 2007. Mortgage rates have increased 0.8 to 0.9 per cent from a year ago to about 2.3 to 2.4 per cent. The effects of last July's property cooling measures, as well as an abundance of choices of new private residential launches for home buyers, have started to become apparent. Sales have been generally subdued for new launches in the past two weekends. 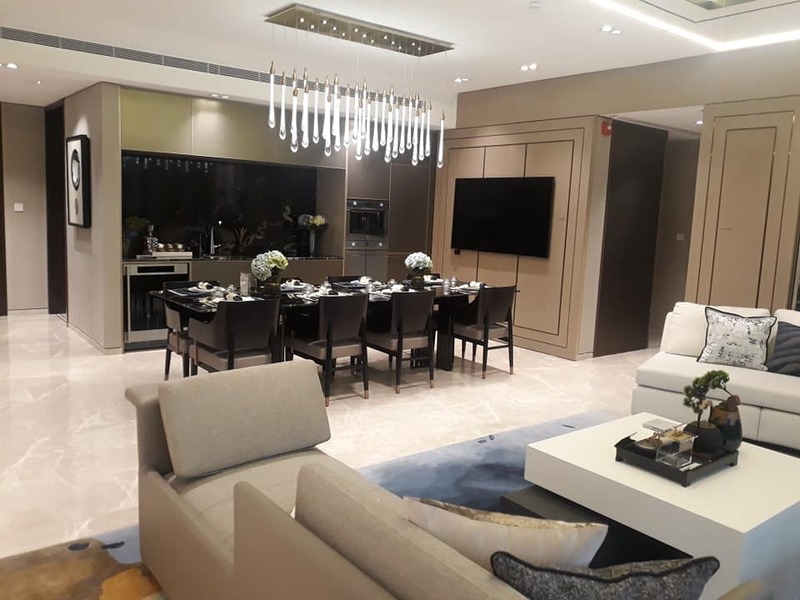 For instance, at The Florence Residences in Hougang, where sales began on March 2, close to 60 units were reported to have been sold in the first weekend out of the 200 units released in the 1,410-unit condo. The average selling price was nearly S$1,400 psf. Developers, while mindful of the supply glut, may not be able to price their projects competitively, even as they probably have had to launch at prices lower than originally envisaged. Most have paid high land prices resulting in high breakeven costs. ​But even those with projects on sites bought earlier or drawn from their historical landbank predating recent rules relating to sales deadlines, seem to be adopting an aggressive pricing strategy. Based on prices at projects launched in the past two weekends, developers' profit margins still range in the double-digit, note analysts. Developers are not too motivated to trim prices. For those who bought sites between 2016 and 2018, the earliest they will hit the five-year sales deadline will be 2021. Hence slow take-up rates at launches can be expected to continue in coming months. All said, the current state of play in the market sees buyers faced with a surfeit of choice but little room for bargain hunting, as developers stand pat on pricing for now. Singapore condo resale prices increased in February by 0.5 per cent from January, after two consecutive months of cooling in December and January. It was the largest price increase since July 2018, with year-on-year prices up by 4.6 per cent compared to February 2018. Prices were up 0.2 per cent in the core central region and 0.8 per cent in the city fringes, or rest of central region. The suburbs, or outside central region, followed suit with prices rising 0.5 per cent. February prices were 0.9 per cent lower than the peak in July 2018, when property cooling measures were announced. ​An estimated 523 units were resold in February, representing an 8.7 per cent decrease from the 573 units resold in January, and a sharper 56.7 per cent decrease from the 1,207 units resold in February 2018. The freehold Selegie Centre in prime District 7 has been sold en bloc at its reserve price of $120 million. This deal - the development's third attempt at a collective sale - is at a land rate of $1,942 psf ppr. It means owners of the 84 sq m apartments there will reap about $1.7 million while shop owners can expect between $1 million and $12 million. The 30-year-old Selegie Centre, which is at the junction of Selegie and Mackenzie roads and borders the central business district, is a mixed development consisting of 33 shops and 25 apartments. It is within walking distance of the Little India, Rochor and Dhoby Ghaut MRT stations. The 10-storey building has a gross floor area of slightly over 60,000 sq ft and stands on the spot which used to be Singapore's transport hub in the 1950s and 1960s. T&C: 30 mins dine-in time & takeaway service is not available. Promo valid from 6 March to 8 March 2019 only. Sushi Express Jurong Point outlet is finally back to serve Singapore's West community with delicious mouth watering Japanese sushi! 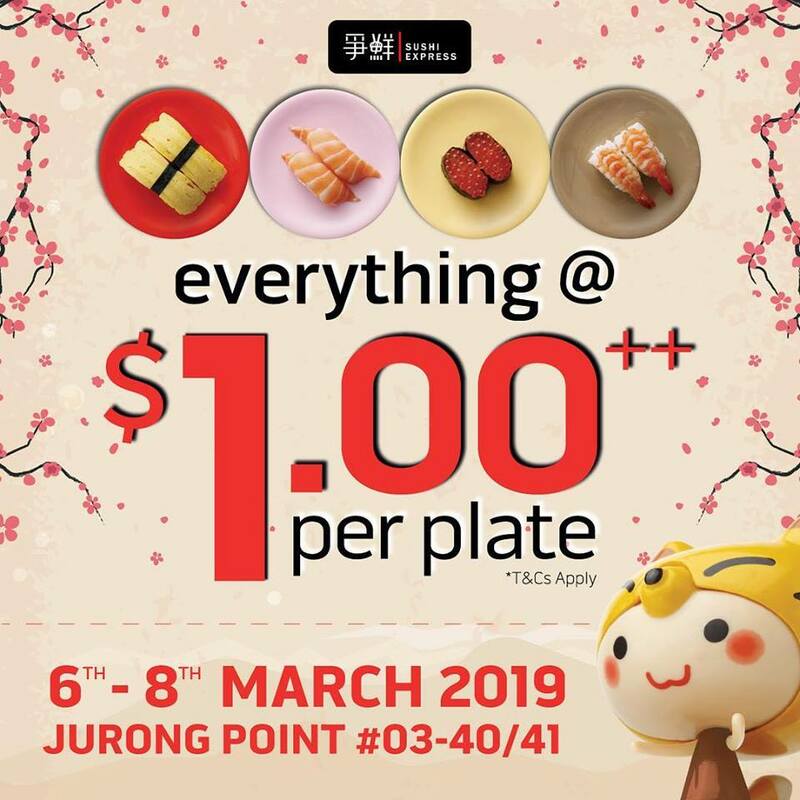 To celebrate Sushi Express Jurong Point outlet reopening on 6th March 2019, Sushi Express Jurong Point is bringing back its $1.00++ per plate promo exclusively just for the Westies! 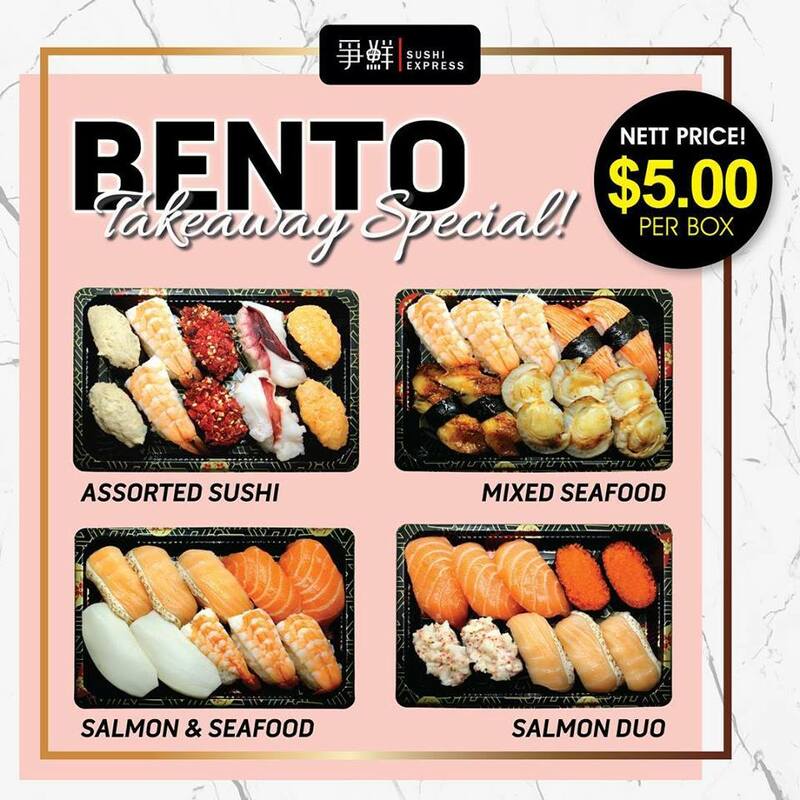 For those who’s on the go, don’t be missed out as Sushi Express Jurong Point outlet will also be selling their yummy bento sets at $5.00 only! 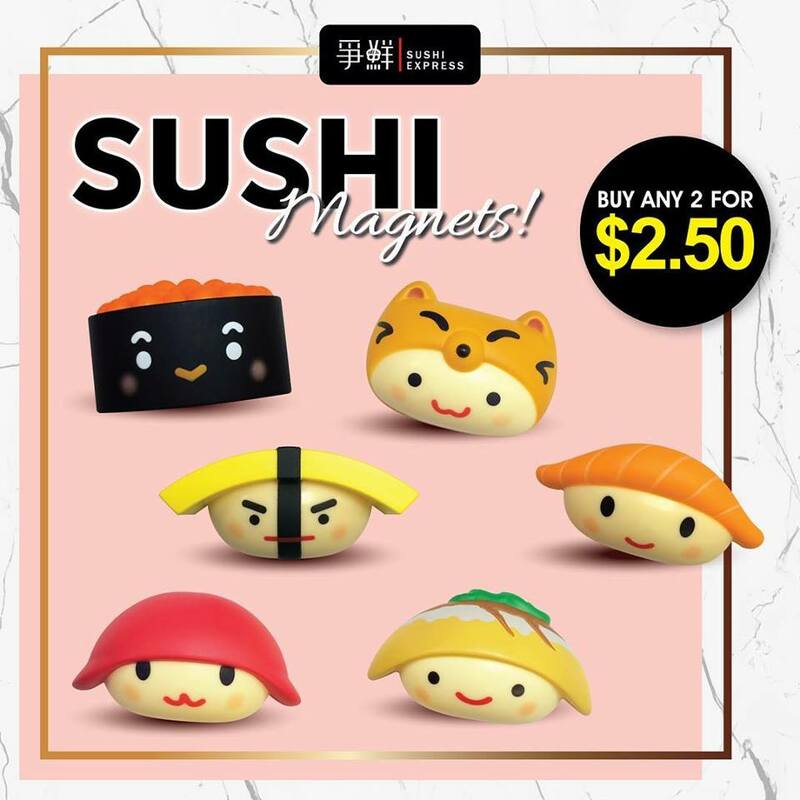 Bring along your families and friends and head down to Sushi Express Jurong Point outlet! T&C: 30 mins dine-in time & takeaway service is not availaSble. 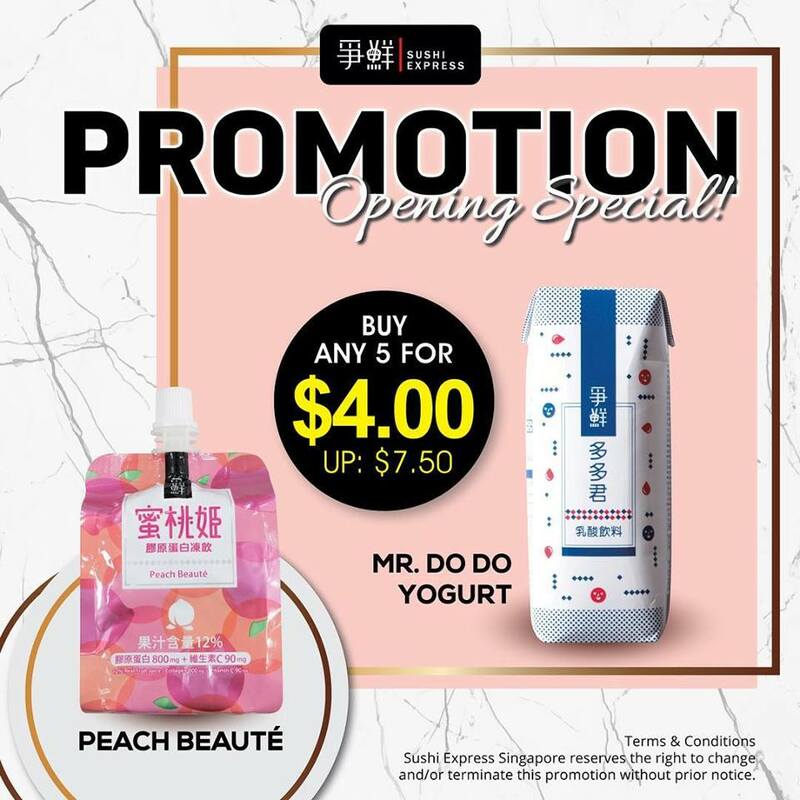 Promotion valid from 6 March to 8 March 2019 only. Mr Chia said this has "pushed all developers to exhaust their inventory at around the same time, and could partly account for the land price escalation in 2017 and 2018 because everyone basically ran out of inventory at the same time". Without a review of the ABSD, this situation could repeat itself in four to five years, he warned. Mr Chia also said it may be timely to re-evaluate the loan-to-value (LTV) ratio for first-time property purchasers in order to allow young Singaporeans to own a private home, and review the timing of the upfront payment of the ABSD for upgraders. 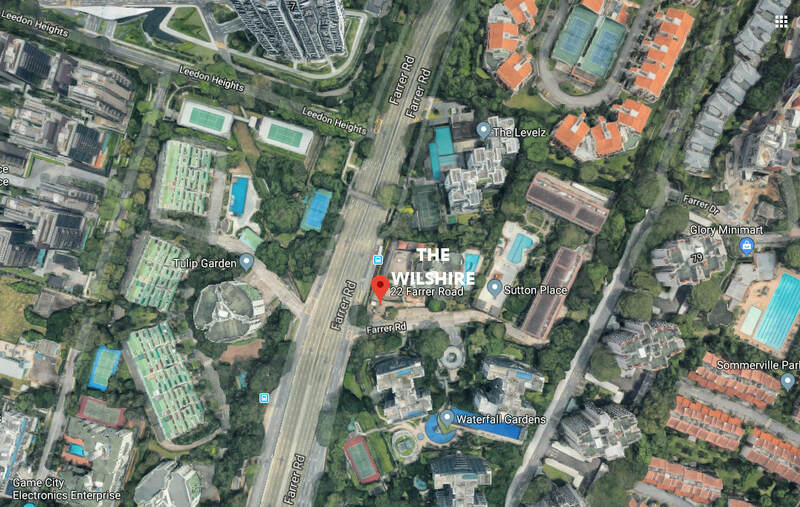 In the heart of Singapore, there is a sprawling, vacant plot of private land 30 times the size of The White House. Just down the road from the US embassy and bordering condominiums worth as much as S$4.5 million per unit, the swathe of untended jungle hides the remains of two abandoned palaces and would be worth a cool S$4.7 billion if sold for development, according to one estimate. In a city where almost 8,000 people fit into each square km and real estate prices are among the world's highest, it is one of the greatest urban anachronisms in Asia. The 34-year-old Crown Prince of Johor, Tunku Ismail Sultan Ibrahim, is the registered owner of the 210,875 sq m plot, which lies in the former Tyersall Park, next to the Botanic Gardens. Inside, ravaged by fire and decay, are the ruins of Istana Woodneuk, the palace built by his ancestors in the late 19th century. The plot owned by the Sultans of Johor was once larger, but has gradually reduced as the Singapore government acquired land to extend the Botanic Gardens, a Unesco World Heritage site. The Crown Prince, however, will not be able to cash in on his Singapore land any time soon, even if he wanted to. The undeveloped area is zoned for "special use of green space", meaning that development for other purposes - such as residential or commercial - is restricted. Were that to change - the land does sit in one of Singapore's most desirable residential districts - it could be worth at least S$4.7 billion, The most expensive residence to change hands in Singapore over the past year was a so-called good class bungalow (luxury landed houses that are off limits to foreigners) also near the Botanic Gardens for S$105.3 million. Private home prices in Singapore are unlikely to stage a rapid rebound after the Government imposed further property curbs in mid-2018, the finance chief of the country's largest developer said. "If we see a 5 per cent increase in home prices, I think that will be a pretty good year for the Singapore residential market," CapitaLand chief financial officer Andrew Lim said in an interview "The severity and extent of the measures in July caught us by surprise," he added. Private home prices posted their first decline in six quarters in the last three months of last year. In July, the Government imposed higher stamp duties and tougher loan-to-value rules to choke off a sudden bout of exuberance. The earlier resurgence had been marked by aggressive land bids from developers and an explosion in collective sales, where apartment owners band together to sell entire buildings. 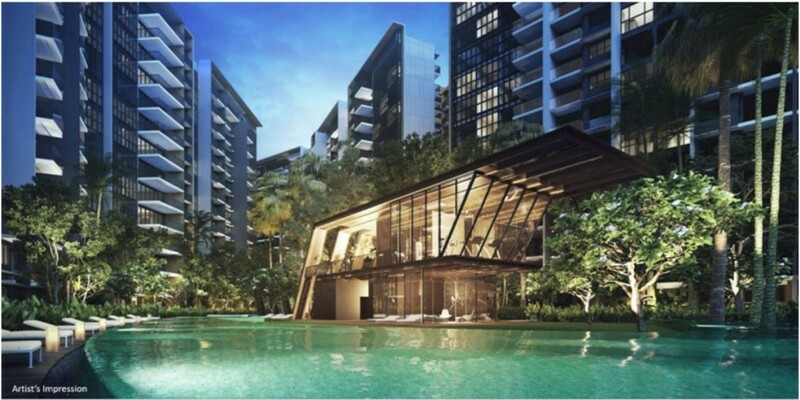 ​CityDev gears up for series of launches with eye to replenishing land bank As City Developments Limited (CDL) gears up for its slew of residential project launches, it's also taken a liking to some government land sales (GLS) sites later this year. The property group also won't rule out occasional en bloc deals. This year, CDL will launch high-end projects Amber Park, Haus on Handy and Boulevard 88 and two other projects: Sumang Walk EC and the mid-tier Sengkang Central. The previous Q4 had included revenue contribution of The Brownstone EC in its entirety when it was completed in October in 2017, as well as Gramercy Park. 4Q18 revenue was recognised primarily from the projects New Futura, The Tapestry and Park Court Aoyama The Tower. Singapore Finance Minister Heng Swee Keat on 18 February unveiled a Budget aimed at building up resilience in the face of economic restructuring, an ageing population and income inequality. With that came new and extended schemes to help firms and workers; targeted help for the needy; and substantial spending to make healthcare more affordable particularly for the greying. Finance Minister Heng Swee Keat will arrive at Parliament House to deliver his fourth Budget speech, setting the tone for Singapore's spending in the coming year. The details are, of course, top secret. But Mr Heng has dropped plenty of hints over the past few weeks about what Singaporeans can expect. In his words, the Budget will have a "comprehensive agenda", focusing on topics such as security, economic transformation and the details of the multibillion-dollar Merdeka Generation Package. Analysts with an eye on Singapore's economic performance predict that Budget 2019 will be an expansionary one, with a projected surplus in government coffers for the 2018 financial year. It is "critical" for small and medium-sized enterprises (SMEs) to plug into the digital economy as it would make a noticeable impact on Singapore's growth, said Minister for Communications and Information S Iswaran. Speaking about the government's ongoing efforts to support businesses in the digital space, Mr Iswaran, who is also the Minister-in-charge of Trade Relations, said: "This is not just the larger enterprises but also for the smaller and medium-sized enterprises. That's critical because they really move the needle for us in terms of the economy, if they plug into the digital economy." Other government figures have previously urged businesses to take advantage of digital technology to raise productivity levels. SMEs are a key driver of Singapore's economy. According to the Department of Statistics, SMEs contribute to 65 per cent of Singapore's employment while in 2017, SMEs added a nominal value of S$196.8 billion, or 49 per cent, to the economy. SMEs are defined by the Department of Statistics as enterprises with operating receipts of not more than S$100 million or employment of not more than 200 workers. Exams have been scrapped, and younger pupils are going through the school year test-free. Efforts to help children from disadvantaged homes level up have redoubled. More plans are afoot to further push students to "learn for life", as part of the Ministry of Education's efforts to move away from a narrow focus on grades, said Education Minister Ong Ye Kung. "It will be a significant thrust... and a multi-year effort which would significantly improve the education system," he said. The details will be announced during his ministry's debate on its spending plans following the Budget's delivery on 18 February. Mr Ong was one of three Cabinet ministers who spoke briefly on the Budget while out and about at separate community events. While they were tight-lipped on the Budget's details, all three ministers - Mr Ong, Trade and Industry Minister Chan Chun Sing and Communications and Information Minister S. Iswaran - raised the much-talked about Merdeka Generation Package as a highlight of this year's Budget, which will be delivered by Finance Minister Heng Swee Keat in Parliament at 3.30pm today. In his National Day Rally speech last year, Prime Minister Lee Hsien Loong announced HIP II, which will be launched in some 10 years to upgrade flats that are 60 to 70 years old. This will see them being upgraded for a second time during their 99-year lease. The existing HIP, which upgrades flats for the first time at the 30-year mark, will also be expanded to include housing blocks built up to 1997. Prior to this, it was offered to flats built up to 1986. Under VERS, residents in selected precincts will get to vote on whether to sell their ageing flats back to the government before the lease runs out. VERS would thus allow the government to redevelop these older towns if residents vote in favour of it. Analysts whom BT spoke to said that Budget 2019 could bring greater clarity regarding HIP and VERS, which in turn may help the HDB resale market. Improved flats may garner higher prices when sold, some pointed out. Enterprise Singapore will launch two programmes to help startups and smaller companies scale up and tap a pool of experts, said Minister for Finance Heng Swee Keat. The first programme, called Scale-up SG, will partner both the private and public sectors to work with high-growth local firms in order to build new capabilities, innovate and internationalise. The second, a two-year pilot initiative called the Innovation Agents programme, will connect firms with experts who can advise them on opportunities to innovate and commercialise their technology. Enterprise Singapore will identify individuals with deep expertise in technology, strong track records in growing businesses, and access to global industry networks, who will provide consultation on a one-to-one or group basis. The duration of engagement may vary from a few months to a year. Singapore's move to introduce two new innovation centres in aquaculture and energy shows its growing emphasis on internationalising small and medium enterprises in sustainability-driven sectors, say industry watchers. In the Budget speech, Finance Minister Heng Swee Keat announced that Enterprise Singapore will launch two new Centres of Innovation (COIs): one for aquaculture at Temasek Polytechnic, and the other for energy at Nanyang Technological University. The aquaculture COI will support the growth and internationalisation of local aquaculture enterprises to improve food resilience in Singapore. The energy COI will focus on energy efficiency, renewable energy and electric mobility. The emphasis on aquaculture was welcomed by industry players, who say there are pain points where innovation is sorely needed. A year marked by global protectionist tensions ended on a sluggish note for the Singapore economy, which grew by 1.9 per cent year on year in the final quarter of 2018 - the weakest quarter of growth in three years. This was lower than the 2.4 per cent growth in the previous quarter and came in under the Government's own flash estimate of a 2.2 per cent expansion. MTI said the economy grew 3.2 per cent for all of last year, slowing from 3.9 per in 2017. MTI permanent secretary Loh Khum Yean said the external demand outlook has weakened slightly since November, with the United States, China and the euro zone economies forecasting moderate growth this year. At the same time, there is now the added threat of a sharper-than-expected slowdown in China and a worsening of its trade conflict with the US dragging down Singapore's economy. The Ministry of Trade and Industry (MTI) is maintaining its forecast range of 1.5 per cent to 3.5 per cent for the year ahead, but now expects growth to come in below the mid-point. Total trade jumped 9.2 per cent from a year ago to S$1.1 trillion, after an 11.1 per cent increase in 2017, according to figures released by Enterprise Singapore. The last time Singapore's trade crossed S$1 trillion was in 2014. Singapore's total trade was S$967 billion in 2017 and S$870 billion in 2016. Both oil and non-oil trade contributed to total merchandise trade growth in 2018. Oil domestic shipments increased 17.1 per cent, easing from a 33.4 per cent jump in 2017. Non-oil exports rose 6.5 per cent in 2018, comparable to the 6.8 per cent growth in the previous year. The NODX growth slowed from 8.8 per cent in 2017 to 4.2 per cent last year. In the final quarter of 2018, the NODX dipped 1.1 per cent following a 8 per cent growth in the third quarter. For the full year, the electronic NODX fell 5.5 per cent, against an 8 per cent rise in 2017. The decline was outweighed by a bigger increase in the non-electronic NODX, which grew 8.2 per cent - though this was a moderation from the 9.2 per cent jump in 2017. In its report card on Singapore's latest annual trade performance, Enterprise Singapore also disclosed that it is maintaining its earlier forecast of zero to 2 per cent growth for total trade and non-oil domestic growth this year. 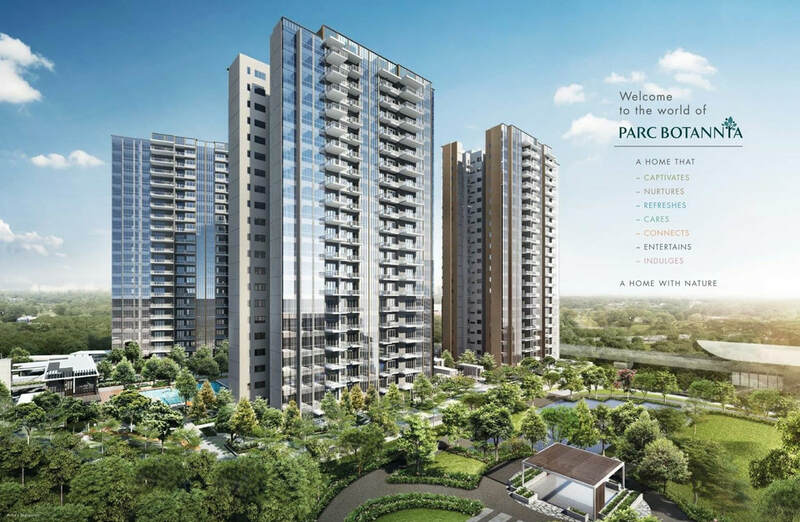 Parc Esta is a hot selling upcoming new condo formerly Eunosville HUDC. Located 3 mins walk to Eunos MRT​. Singapore's trade sector began the year on a whimper with non-oil domestic exports (Nodx) for last month sliding by a worse-than-expected 10.1 per cent from a year ago. This is the biggest contraction since exports slumped 12 per cent in October 2016. Analysts polled by Bloomberg were expecting a decline, but of 3.5 per cent, given the high base effect of January last year, when exports rose 13 per cent. The drop last month was also the third straight month of decline after an 8.5 per cent fall in December and 2.8 per cent decrease in November, Enterprise Singapore figures showed. After taking into account selection bias, the study by the Ministry of Trade and Industry (MTI) and SkillsFuture Singapore (SSG) found that the real wages of workers who went for WSQ training were 0.8 per cent higher on average than their counterparts in a control group. Trainees who are in the course of attaining WSQ full qualifications experienced a real wage premium of 5.8 per cent on average in the year following the training. Unemployed individuals who attended a WSQ training module were 3.5 percentage points more likely than those in the control group to be employed in the year after training. Similarly, non-employed trainees working towards a WSQ full qualification (comprising a series of training modules) were 2.6 percentage points more likely than the control group to have found jobs a year after. The WSQ is a national credential system that trains, develops, assesses and certifies skills for the Singapore workforce, in support of the SkillsFuture movement. And the costs could keep going up this year, researchers from the Ministry of Trade and Industry (MTI) economics division have now said. The trend was felt in services industries - rather than in manufacturing - as productivity was higher in Singapore's external-facing sectors, according to official reports. Overall unit labour costs here inched up by 0.4 per cent last year, lifted by a 1.7 per cent rise in services, despite a 3.5 per cent drop in factories' manpower expenses. This tracked a broad pattern over the past five years: Businesses' unit labour cost rose by 1.5 per cent a year on average from 2013 to 2018, with manufacturing the only sector to see a decline, to the tune of 1.9 per cent. Overall unit labour cost is likely to keep facing upward pressure in 2019, said MTI economist Geraldine Lim. Manufacturing clocked the biggest productivity gains, at 9.8 per cent, while accommodation services was up by 6.3 per cent and finance and insurance grew by 4.2 per cent. Business costs this year are expected to be pushed up by both wage growth and higher office rents, although utilities costs - a key contributor in manufacturing expenses - could go down as oil prices drop. Tighter foreign worker rules an effort at making labour market sustainable: Chan Minister for Trade and Industry Chan Chun Sing said the tightening in foreign worker rules announced in the Budget was a "surgical" move targeted at specific industries to make the labour market more sustainable. The aim is "to make sure that the Singapore foreign manpower dependency is on a sustainable trajectory", he said in an interview with Bloomberg. "We are not going to have an unlimited number of foreign workers in Singapore, but what we have and what we want is a higher quality of foreign workers," Mr Chan said. Finance Minister Heng Swee Keat said in his Budget speech that quotas for foreign workers in service industries, such as food and retail, will be lowered from next year to help boost productivity and curb labour growth. Mr Chan said Singapore would remain open to talent, particularly in industries such as artificial intelligence and financial technology, and is "playing for the long game" with this Budget. Although tighter foreign manpower restrictions will force food and beverage (F&B) and retail firms to transform, there are challenges to getting started and limits to how far transformation can go, say business associations and firms. Where customer service is key, "you still need humans", said Singapore Retailers Association president R Dhinakaran - and hard-to-hire locals make foreign workers indispensable. "This cutting of the ratio really makes it difficult for us to operate." The services sector's foreign worker dependency ratio ceiling (DRC) - the maximum proportion of foreign workers in a firm - will go down from 40 per cent now to 38 per cent on Jan 1, 2020, and again to 35 per cent on Jan 1, 2021. It does not apply to Employment Pass holders. The services sub-DRC for mid-level skilled S Pass holders will be lowered from 15 per cent now to 13 per cent, and then to 10 per cent. Still, the nature of the service sector limits the extent to which humans can be replaced. Compared to other sectors, technology such as automation and robotics have limited applications in retail, said Mr Dhinakaran. But the root challenge, said firms, is that Singaporeans are reluctant to join the retail and F&B industries. Tackling this is the way forward to cope with DRC cuts, said retailers. Trade in goods and services between Singapore and the EU has surpassed the symbolic 100 billioneuro (S$153.6 billion) mark, with the EU-Singapore free trade deals that were given the nod last week likely to further spur growth in the future. In particular, trade in goods between the two parties reached a record of 58 billion euros last year, up 9 per cent compared to 2017, according to freshly released data from the European Commission. Eurostat findings also showed that EU exports of goods to Singapore grew by 11.7 per cent in 2018, while imports went up by 4.8 per cent. Machinery & transport equipment, and chemical products dominated EU exports to Singapore in 2018, making up 46.7 per cent and 14.3 per cent respectively. The former grew by 16.8 per cent compared to a year ago. A fixed deposit (also known as a time deposit) account is a type of bank account that pays account holders a fixed amount of interest in exchange for depositing a certain sum of money for a certain period of time. Even though fixed deposits offer higher rates than the interest rates offered by most savings accounts, most people do not regard fixed deposit accounts as a form of investment as their interest rates are lower than the inflation rates in Singapore which is estimated to hover around 2.5% to 3.5% annually. However, that’s not to say that you should immediately write off fixed deposits as a component of your investment portfolio because unlike other forms of investment, fixed deposits are nearly risk free unless the bank collapse. The interest rates are fixed, so you won’t have to worry about market fluctuations. Even if something does happen to the bank, your deposits are still protected, up to $50,000, thanks to the Singapore Deposit Insurance Corporation or SDIC. If you have a large sum of cash that you don’t intend to spend, putting it in a fixed deposit account will enable you to earn higher interest than if you leave it in a savings account. Interest payments are made like clockwork at regular intervals, often quarterly or annually and fixed deposits are highly liquid. You can withdraw your money anytime, although there may be financial costs to closing your account earlier. Maybank Requires minimum of $20,000 deposit for minimum 12 months @ 2.05% p.a. ICBC Requires min of $20,000 deposit for minimum 12 months @ 1.98% p.a. State Bank of India Requires minimum of $50,000 deposit for 12 months @ 1.95% p.a. CIMB Requires minimum of $10,000 deposit for 12 months @ 1.9% p.a. Hong Leong Finance Requires minimum of $50,000 deposit for 13 months @ 1.83% p.a. 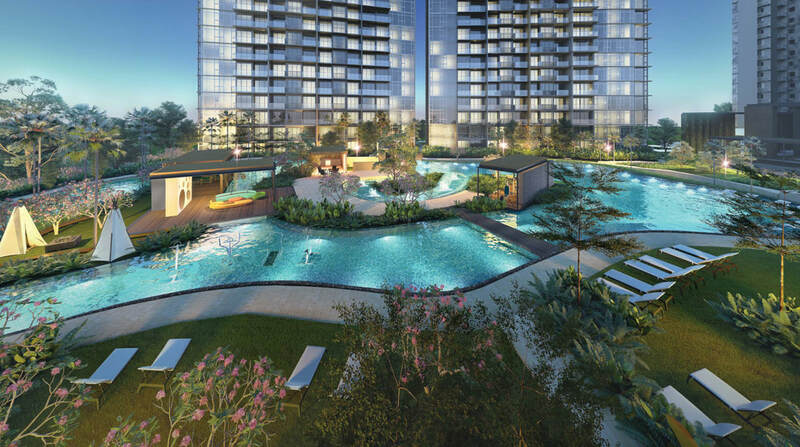 Note: www.latestprojectlaunch.com features the latest property launches in Singapore. By submitting your information, you allow us to update you on new property launches, developer promotions and personal finance advice. What a year 2018 was for property in Singapore. 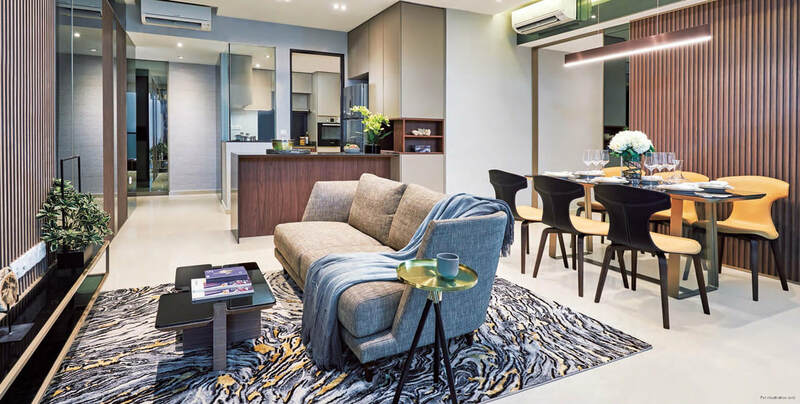 A myriad of new private condominium launches following previous successful en bloc and government land sales were greeting home buyers, who were bowled over by their stunning showflats, innovative features and numerous facilities. Home buyers however are disappointed that homes sizes are becoming smaller and smaller. 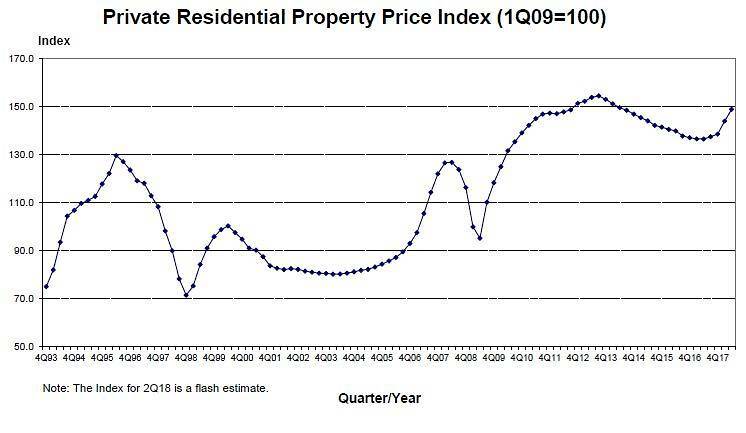 After four straight quarters of higher private residential prices, the Singapore government introduced cooling measures in July 2018 to curtail the exuberance of the market and allow prices to grow at a sustainable rate. Suddenly, new guidelines were announced in October to reduce the maximum number of units allowed in new private housing projects in the heartlands with the intention to lessen the cumulative effect new developments could pose to local infrastructure, as well as encourage developers to provide a more balanced mix of unit sizes. New guidelines to limit the size of balconies, as well as a bonus allowance for indoor communal spaces, were also announced shortly after. These will come into effect on Jan 17. There have been some aftershocks but it is still a little too early to determine the full effects these have had on the private residential property market going forward. Meanwhile, experts have been surprised by the severity of the new property curbs, with reactions ranging from regulations being described as “a sledgehammer to kill a fly”, to concerns about a sales momentum freefall and subdued sales volumes for the months ahead. How will private property fare and what else can we expect in the near future? Experts believe that home designs must make strata space feel more spacious despite the smaller unit areas. To achieve this, add features such as higher ceilings, corner windows, full-height window openings, open kitchens and high rise planters. Certain functions such as storage, a laundry/dryer, and parts of the kitchen and study room can also be transferred out of apartments into communal amenities to make more room. This is especially relevant for smaller units, as tenants, singles and young people are more predisposed towards co-living and do not mind sharing such amenities. These factors will affect property purchases, but after a while buyers will accept them as the new normal as Singapore face a tight land constraint. Developers will probably bid less for land at the moment due to the above factors and home owners may enjoy slightly lower per square foot price. Thousands of enbloc owners are still on the search to buy another private property, since those who have tasted the fruit of collective sales tend to want to purchase private property again. Seniors may downgrade to public housing and pass the surplus funds to their children to buy private property, preferably one with en bloc potential 10 to 15 years down the road. Faced with the uncertainty of the continuing uptrend in housing interest rates, we are likely to see more borrowers opting for fixed rate packages to lock in the lower rates now and hedge against future interest rate hikes of up to 2.5% for residential home loan interest by the end of 2019. Experts believe Singapore's domestic drivers could include “a relatively robust market demand for housing” that supports home prices as inflation grows boosted by a ramp-up in billions of investment diversions into Asean from global capital flows. The government's timely shock cooling measures put a cap on “unnecessary speculative froth” for the Singapore property market. Singapore could see gross domestic product (GDP) growth of as much as 3 per cent in 2019 due to improving Singapore labour market leading to decent wage growth in 2019 and in turn result in higher inflationary pressure, particularly in the services sector. The US-China trade war is seeing increasing trade and investment flows shifting to Asean allowing Singapore to reap gains from its indirect role in regional value chains.